Go the distance with Challenger. 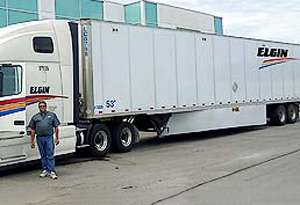 With one of Canada’s largest privately owned fleets, we get your shipment on the move all over the world. We do whatever it takes to get the job done right, even if it goes beyond our list of most frequently used equipment. Let Challenger provide you with the opportunity to move ahead with a solution fit for your unique needs. We consistently service the regional areas of Southwestern Ontario and the Great Lake states. 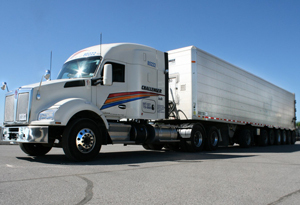 We ensure your freight arrives on time and at the right temperature and in prime condition. As a member of the Ontario Waste Management Association, trust us to meet every standard of safety. Challenger named one of Canada’s Best Managed Companies! Challenger is having a Job Fair! 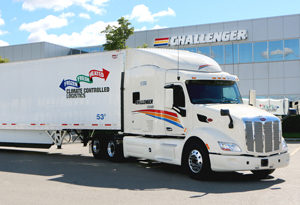 Challenger Motor Freight provides leading transportation, warehousing, logistics, 3pl and 4pl services to companies who ship goods to and from Canada, with shipments from coast to coast and north-south shipping to the U.S. 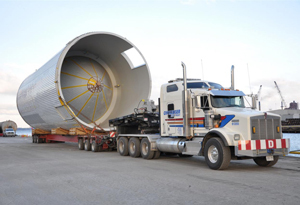 Challenger transportation services include LTL, full truckload, rail transport, intermodal, air, ocean freight, and expedited services to ensure efficient, on-time delivery. 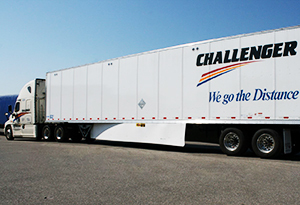 Logistics and Supply Chain Management, including Third-Party Logistics and On-site Warehousing are key parts of Challenger’s complete shipping and transportation solution. Our customs specialists make hassle-free cross border shipments easy.